New Social Networking site by Google "Google+" have some same gallery feature as Facebook, When you see your or some one your friend's profile in facebook you will see his/her latest taged 5 Pictures on left side on top, In Google+ profile picture gallery or banner at the top of about page that you can use cleverly to make nice effects. This is an easy way to beautify your profile page and make it more attractive. Step 2: Visit http://bannerspl.us/ to get great Banner Images. Step 3: Now you have Choice to Make your Banner Image, from your Computer or from any Webupload URL. 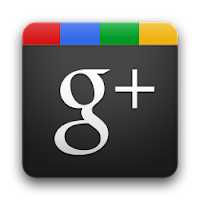 Step 4: After that Click on Render Image..
Then goto your Google+ Profile and click to Edit Profile. Stay tuned with us at Facebook & Twitter and Subscribe Email to get updates on How To on Google+.